The Webb Law Firm has always had a strong sense of community service. Whether it’s volunteering, contributing to community causes or defending the constitutional rights of our friends and neighbors, we have remained dedicated to Maine since our youth. 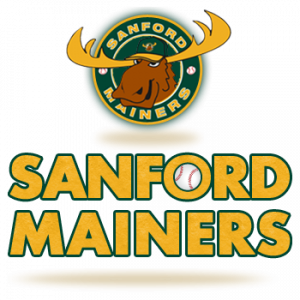 While I (@MaineOUI) am involved in other causes, the focus of my community service has found itself in the Sanford Mainers, a wooden bat baseball team that is a member of the New England Collegiate Baseball League (NECBL). It is driven by my love for baseball, but more importantly my love for my hometown of Sanford, Maine. Sanford is a great community that was incredibly good to me when I was growing up. I admit to all who will listen that my success as an adult, including my experience at Maine Maritime Academy, is directly proportional to the upbringing I had in Sanford. So you can imagine how happy I was to sit down and talk with Pete Warner from the Bangor Daily News (@PeteWarnerBDN) when he visited historic Goodall Park, home of the Mainers, last week. The article is extremely well done and the photos that accompany it capture the essence of what we try to do as a volunteer organization every summer in Sanford. As many of you know, one of the biggest surprises I ever encountered was a request for an autograph from a young man who said he needed one more to capture the entire team. I told him he did not want my autograph, since I was not a player in did not want to ruin his perfectly choreographed autographed ball. He politely informed me that I was the “Theo Epstein of Sanford” and my autograph was therefore needed. I was stunned and honored all the same time. It made all the hard work and financial contributions worthwhile, and made me realize how important being part of the team really was; we have made the playoffs every year since. If you have been accused by the police in Maine of OUI, “Operating Under the Influence of Alcohol or Drugs”, Habitual Offender (HO), Operating under Suspension (OAS), possession of a controlled drug or any alleged motor vehicle or criminal offense, feel free to call Attorney John Webb today at 207-283-6400 and arrange a free consultation to discuss your case .